Children show adults how to have fun at this joyous Christmas-themed concert. What if I told you I went to see Tchaikovsky presented by one of the nation’s leading orchestras, and members of the audience broke out in unrestrained episodes of cheer, dance, and song? You probably wouldn’t feel that such a ruckus was worthy of the concert-black donning musicians, who were poised on the evening stage to perform some of history’s finest music. But you’d be wrong. Because what I learnt from this Family Classics concert is that children know far more than we do about what it means to have fun with music. The Tasmanian Symphony Orchestra event was called The Nutcracker, although the famous work wasn’t heard until after some festive opening numbers. Broadcast personality Christopher Lawrence took to the Federation Concert Hall stage as MC, introducing the music and rousing the young listeners in the process. The event, which was conducted by Benjamin Northey, opened with Wasson’s Festive Fanfare for Christmas. For a concertgoer like myself who doesn’t traditionally attend Christmas-themed performances, it was certainly something special to hear the seasonal music presented by the highest-calibre players, and in a lush orchestral setting. Each of the works selected were short in duration – mimicking the attention span of the average concertgoer. (And, by average, I mean the hall seemed almost entirely filled by excited and marveling children under the age of 12.) The heaviest work on the program was found in the Grieg Piano Concerto in A minor, Movement 3, performed by the TSO’s 2018 Rising Star, pianist Sheng-Yuan Lynch. He took to the piano with impressive mastery for a player just 13 years old, and performed the entire work with a skill well beyond his years. Interestingly, it appeared he only required sheet music on the piano once his challenging concerto had concluded, and the festival little encore – Brazilian Sleigh Bells by Percy Faith, arranged by Lloyd Conley – had begun. 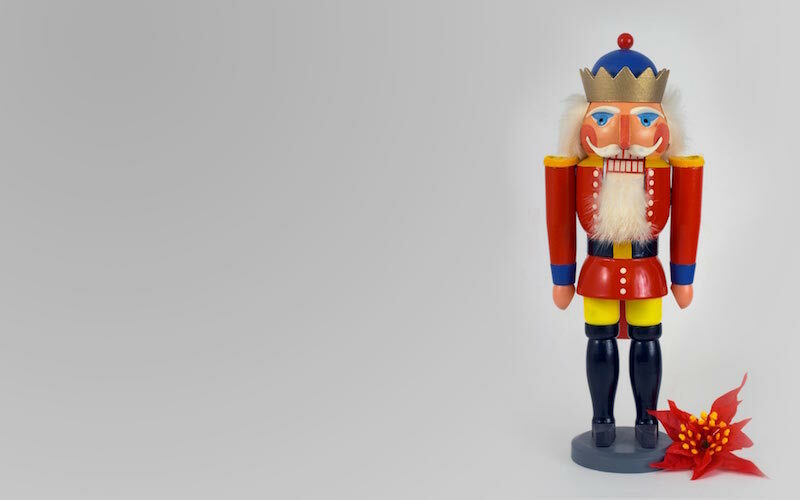 The Nutcracker itself was filled with surprises for the audience. Across the selection of movements were the musical surprises, of course – children might have been swayed to feel proud, moody, joyful, awe-struck, or energised throughout the course of the work. But beyond Tchaikovsky’s spirited themes came a new series of surprises, as we witnessed a subtle nod to the values of interdisciplinary collaboration. There were budding dance stars from Felicity Ryan Ballet – young soloist Kiri Patterson, 10, twirled in the spotlight, the orchestra behind her; and a small troupe of years 4 – 5 dancers then commenced a new ballet routine on the stage before delving into the audience with their choreographed moves. A poem was woven between the movements to modernise (and Hobartise) the tale itself, read aloud by Christopher and written by TSO Outreach and Education executive Jenny Compton. Later, the powerfully voiced students from Elizabeth College Performing Arts Program Petrea James (year 11) and Martine Holliday (year 12) sang We Wish You a Merry Christmas. And, by the end of the night, the full audience was singing along – children and parents alike enjoying Jingle Bells. Predictably, the Tchaikovsky was my favourite – and for my dad, too. He’d taken me to my first orchestral performances, and now we enjoyed this family concert together as adults. Fittingly, he remarked that Tchaikovsky is like the “pop music” of its day – and with its bright, short, and endlessly fun movements, I’d certainly agree. I’d expected to feel the pull of distraction due to the wave of children at the concert hall – but in fact, it was the youngsters’ parents that caused the only distraction for me. On a number of occasions, a gentleman seated in the row behind me told his excited little boy to settle down. I felt like responding: let the child roam free! Let these kids enjoy classical music in whatever way they please – because then, they’ll come back. And I would love to see their faces in 10, 20, 30 years’ time, enjoying The Nutcracker with their own kids in the future, too. Christopher Lawrence had first stated that this would be a night celebrating children and youth. And I feel the distinction between the two to be particularly meaningful: we mightn’t be children anymore, but if we allowed ourselves to adopt such vigour and youth at all orchestral performances, we might just have the time of our lives, too. That’s what it’s all about, isn’t it? Spanish classics and a new Milliken work with the Adelaide Symphony Orchestra's artistry. The MSO hits its stride in an entertaining Town Hall concert. Mairi Nicolson, Damien Beaumont and Christopher Lawrence will be leading music and opera tours in 2017.